At Shine Dental Care, we have a number of patents who live in Carlton. 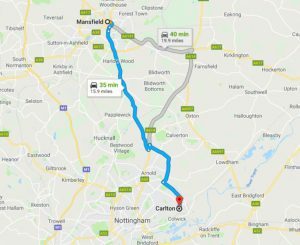 With our leading cosmetic dental clinic in Mansfield only thirty-five minutes away, our Carlton patients have access to our popular and effective dental implant treatments. 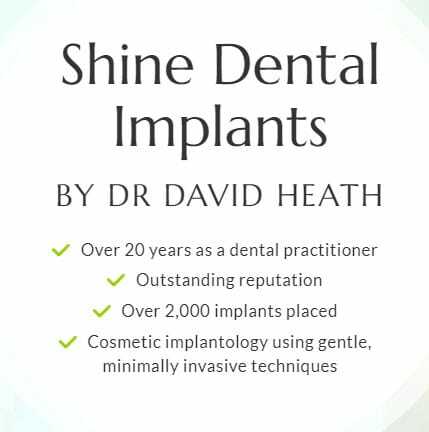 Shine Dental Care has a team of experienced dental implant dentists with years of experience. We use the latest technology and innovative techniques that allow us to give our Carlton patients fantastic, natural results. Why do new patients from Carlton travel to see us? We welcome patients from Carlton because of the leading dental implant treatments Shine Dental Care offers to Nottinghamshire and South Yorkshire. Our highly experienced team can design a dental implant treatment that gives you the results you want, right in our Mansfield cosmetic dental clinic. 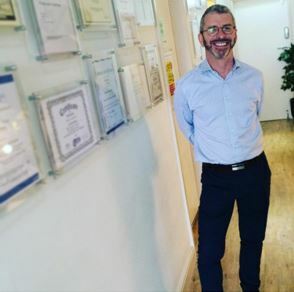 Success rate: Dr David Heath our implant specialist has had a near 95% for single teeth and close to 100% for implant bridges. Technology: We are extremely well equipped with Cerec® machine for one-visit crowns, an intra oral camera, the Wand for virtually pain-free injections, a 3D implant scanner / digital X-rays. Price: Shine Dental regularly compare our treatment prices with other similar dentists in the Sheffield, Nottingham and Beeston area. Our fees are highly competitive. Can I have implants? One of the reasons patients travel to Shine from Yorkshire and all over the North, is that we have a reputation for complete transparency. If we do not think you are a perfect fit for implants we will say. We assess all patients for suitability before undergoing any treatment. Does it hurt? Somewhat. A dental implant is a process where artificial materials are fused with bone. There are three parts: a small titanium screw that is inserted into and fuses with the jawbone, an “abutment” or post which attaches to the implant, and a crown (in the case of one implant) that fits over the post to provide a natural looking tooth. It is the initial small screw that can cause patients some discomfort. Too old, too young? Age or genders are not barriers to implants although some elderly patients may have bone growth issues. Single implant, bridge or full arch: Shine Dental offer the complete range of implants and have the experience and knowledge to select the right option for you. For patients looking to swap dentures for full arch implants, this is fast becoming a very popular alternative. For more information please contact our dental clinic today on 01623629391. You can also send us an online form and we’ll aim to reply within 24 hours. Ultimately, our entire practice is designed with you in mind, for your peace of mind.